Silvertone Brass Halo Rings with CZ Gemstones Just $6.99! Down From $119.99! Ships FREE! You are here: Home / Great Deals / Silvertone Brass Halo Rings with CZ Gemstones Just $6.99! Down From $119.99! Ships FREE! Tanga has this Silvertone Brass Halo Rings with CZ Gemstones on sale for $6.99 (Reg. $119.99)! 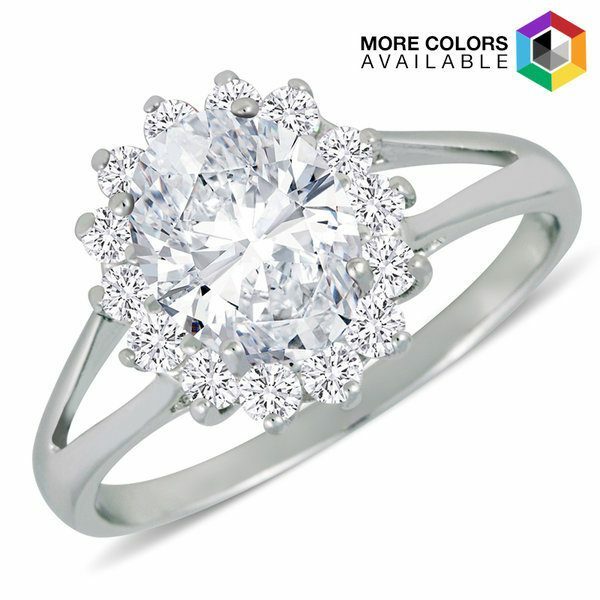 With an oval cubic zirconia as the colorful center attraction, this ring is rich in design and is absolutely breathtaking. This ring will make quite an amazing addition to your collection.